This was our first day in Paris. For breakfast we hadn’t really organised anything for ourselves but there were eggs in the fridge that we could use so that was breakfast. The whole day just started really slow and it wasnt until about 11:30 that we left the house. When we did leave, it was perfect weather. No clouds to be seen anywhere and nice, cool air to complement. Our first goal was to go on the free walking tour. I really like these because you get to orientate yourself in the city centre a bit. Get to know where the major things are relative to each other. Also, you can knock off heaps of the must see but not do things. 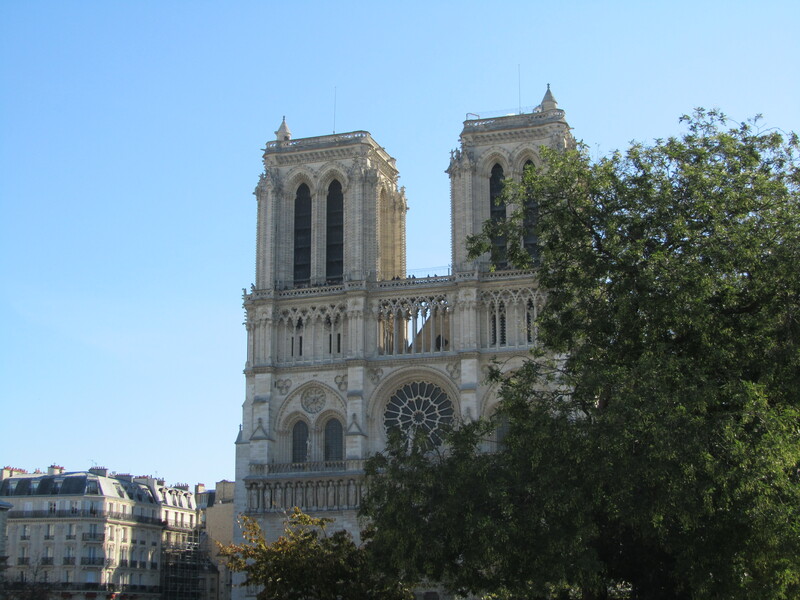 Example of this in Paris was Notre Dame which was our first stop. Our tour guide took us out the front and told us all about it and the history of the island that it sits on while we gawked at it’s amazingness but we didn’t go inside which would have taken hours as there was a huge line. Even if we weren’t on the tour, we wouldn’t have gone in but because we were on the tour we found out lots of information about it. In my opinion, it’s win-win. 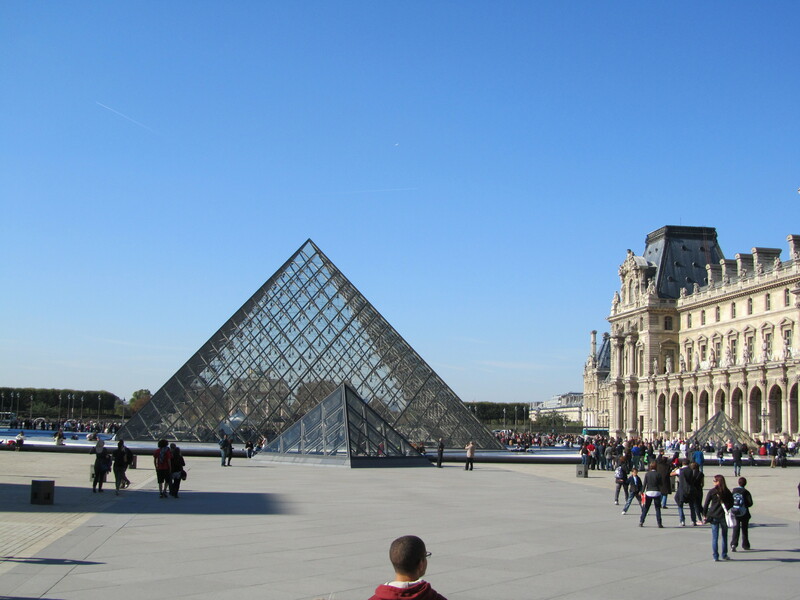 The tour in total took a good 3 and a half hours or something and covered the major things such as Notre Dame, The Louvre, Eiffel Tower, Arc de Triomphe ect and was run by a really experienced guide. Having said that, I didn’t think it was the best of the free walking tours that I have done. He focused heavily on the arts side of Paris which is what Paris is kind of all about and he is an Arts student but I have had better. 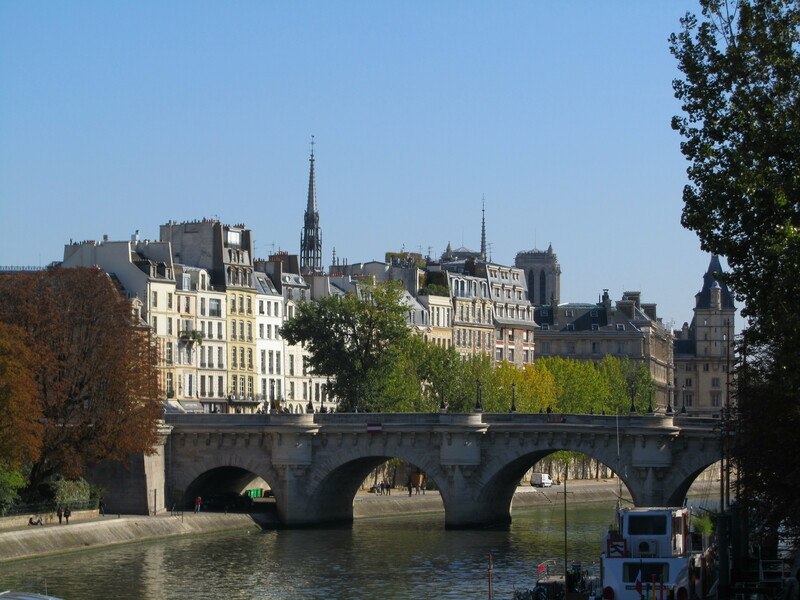 When the tour finished, the guide was offering to take people to a restaurant that does lots of ‘traditional’ Parisian food such as frogs legs and snails. Because I demanded it, we went as well. Turned out real cool. There was only 3 other people that went and I was the only one to order the legs which had been battered and then fried. They tasted like tender/watery chicken but their only really problem is that they arent easy to eat because of the bones. Kind of like chicken feet. Nice but difficult so I order something else. After the meal we went back to the house. It was still kinda early but after our rather tiring day (of getting up late, walk around for a few hours and then eat) we were happy to relax a bit more.